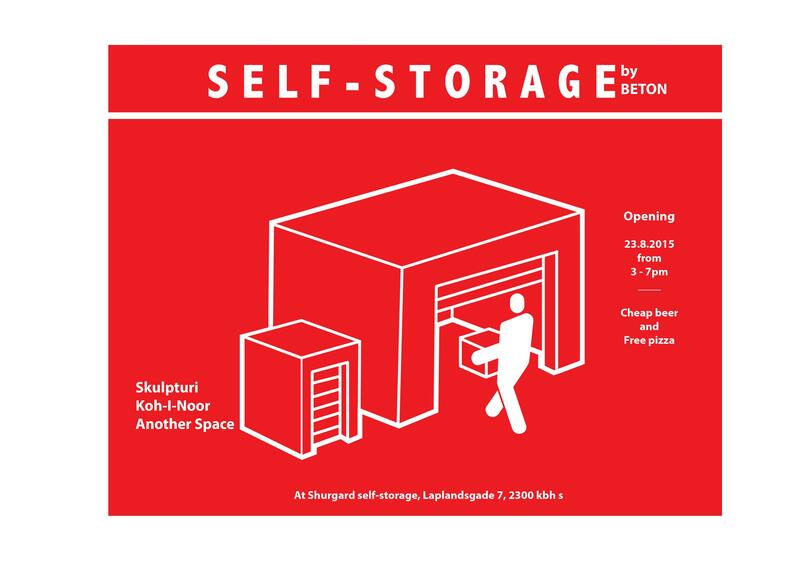 Another Space has been invited by the art space BETON to curate a storage space within a Shurgard Self Storage building in Amager, Copenhagen, alongside the two other ‘homeless’ project spaces, Skulpturi and Koh-I-Nor. With the storage – both as space and concept – as our starting point, we have invited all the artists and architects who in some way or other have been part of our history since the beginning in 2012. The exhibition partly takes place in the storage building and partly on our new web-platform. It will include a mix of new work, works that earlier have been presented in Another Space and work that has been pulled out of storage. As a whole, the exhibition forms an archive of the history of Another Space as an exhibition space in Amager, Copenhagen, as well as pointing to our future nomadic and digital existence. By taking Shurgard Self Storage’s offer of ”first month for 1 kr. – no contract”, three storage rooms within the same complex will be used as exhibitions spaces for one month. The rooms have padlocks, and there is an electronic code for access to the gate, which enables guests to come and go by appointment. The three spaces will also be equipped with security cameras that will record material for a video installation about the project space scene at the alternative art fair Alt_Cph. BETON was founded at PB43 in Copenhagen in 2014, but was forced to move when the grounds were sold to Pelican Self Storage earlier this year. The project Self storage is their take on the discussion of self-organisation, city space and economic structures in the age of project spaces, inspired by the conditions of the Danish art scene. Shared Territory is a publication about framework, collaboration, context, authorship and autonomy in the field between art and architecture. The starting point is the exhibition series øysteinaasanvaerk>stedflorianneufeldt, that took place in Another Space during the autumn of 2014. Here, three artistic and architectural practices were bound together in a site-specific relay in which they worked in extension of the structures created earlier in the process or laid out traces for the next participant to respond to. In addition to presenting the exhibitions, the publication is a further reflection on the discussions that arose between the curators, artists, invited speakers and the audience, forming a collection of different voices. The book is made up of texts and images about a variety of topics that are loosely associated with the works and the process of the exhibitions series. These include presentations of successful and failed collaborative projects, conflicts of authorship, approaches to site-specificity and context, examples of ‘finding’ and re-use, and more. This limited edition publication is partly produced by hand by Another Space and Eller med a, in the studio of Officin in Copenhagen, Denmark. It includes new contributions by Øystein Aasan, Vaerk>Sted and Florian Neufeldt, forming a second lap of the exhibition relay. 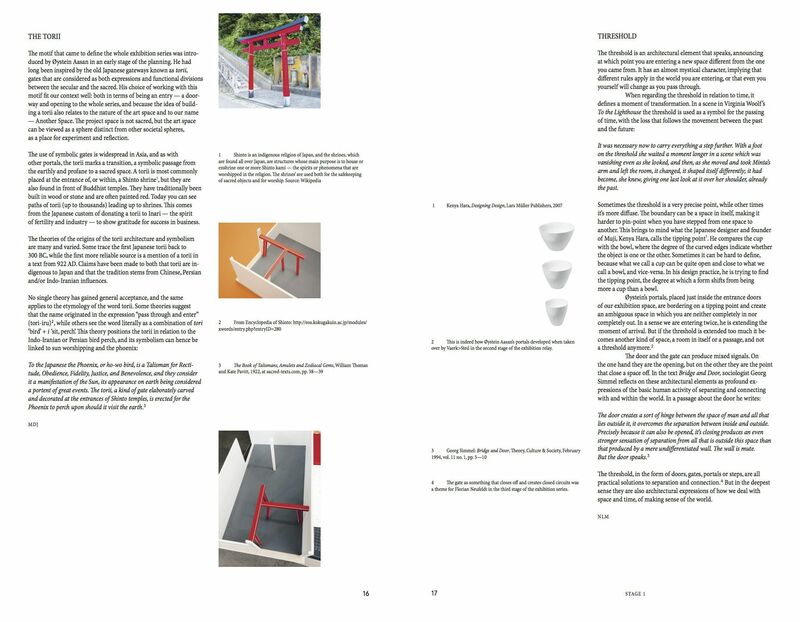 The publication will be sold at a reduced price of 150 DKK at the book launch (normal price 250 DKK). Marte will present the publication as an introduction to the symposium where speakers Hugo Hopping, Maria Berrios and Kristoffer Ørum will share their thoughts on independent art initiatives. Read more about the symposium here.